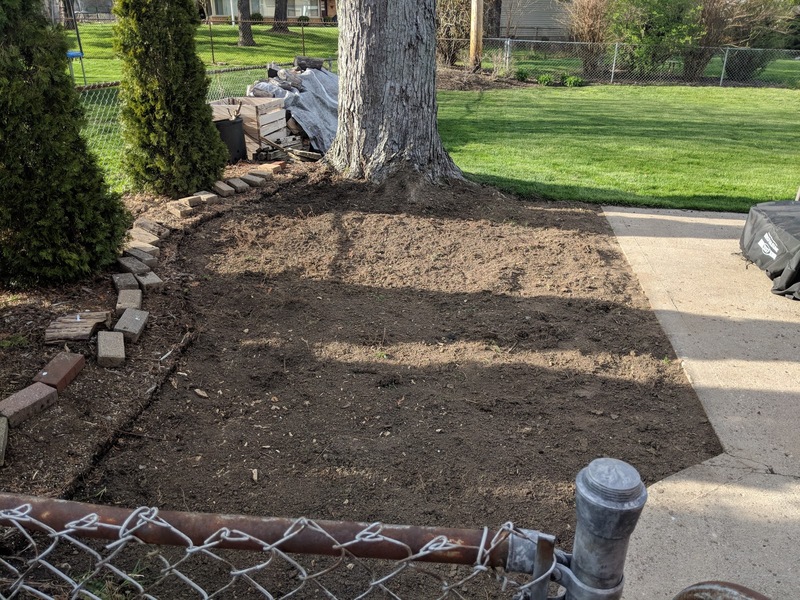 Last weekend's major project was clearing sod, dirt and roots from the west side of our backyard and hauling its 680 pounds to the dump in the Jeep Grand Cherokee, which now needs a major cleaning, inside and out. Cost about $13 to dispose of and thankfully the dump opens at 6:00 am Monday morning so I didn't have to drive around smelling like yard. This area will be transformed into something decorative in the next couple months, so stay tuned.